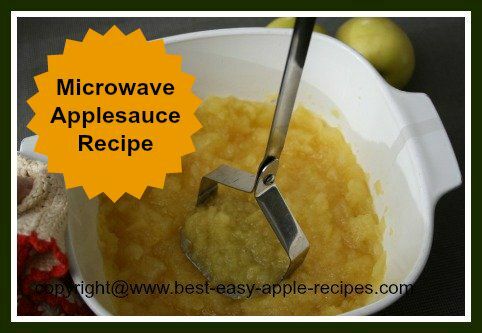 This Microwave Applesauce Recipe is quick and easy and makes a scrumptious sauce with apples and cinnamon or plain. 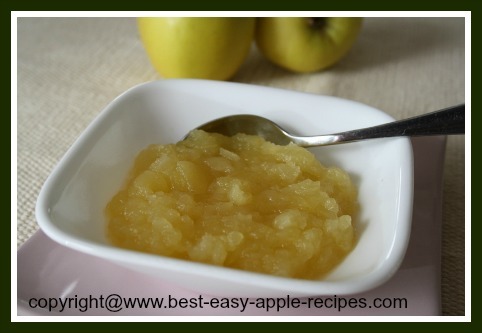 If you are in a hurry and wish to make applesauce, this is probably the fastest method to use. 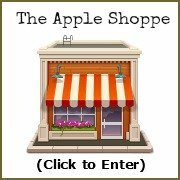 For other methods of making homemade applesauce, scroll down. I used Golden Delicious apples for this recipe, however many other varieties will work well too. You can make applesauce using all one type of apple, or mix a few different varieties of apples together, for a really special flavour of sauce! If you are making applesauce for a diabetic diet, simply substitute a sweetener such as "Splenda" in the place of the sugar. See Also: What Apples Types are Best For Applesauce? See Also: How Many Apples Do I Need for Apple Recipes? Peel, core and cut the apples into chunk size pieces. 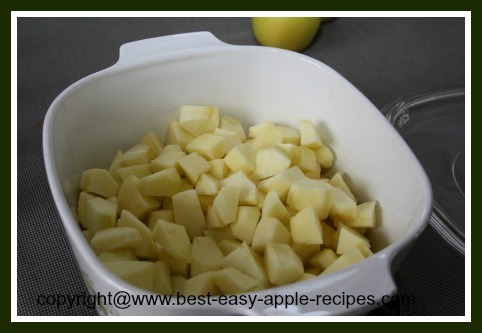 In a 2 litre size microwave-safe dish, combine the apple chunks and the water. Cover the dish with a lid or microwave-safe plastic wrap, and microwave on high power for about 15 minutes or until the apples are tender (use a fork to test for tenderness every 5 minutes). 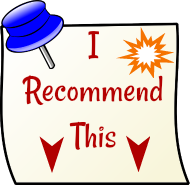 If the microwave does not have a turn-table, rotate the dish manually every 5 minutes. When apples are tender, stir in the sugar and microwave on medium power for an additional 2 minutes to completely dissolve the sugar. Stir and mash the applesauce with a potato masher (see image below), and set aside to cool a little before serving. (If a finer/smoother texture of applesauce is desired, simply process the applesauce in the blender). Makes about 3 cups of delicious microwave applesauce! 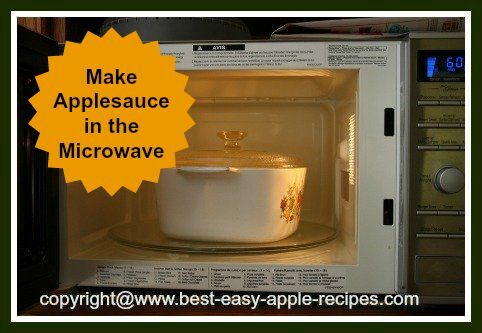 Making Applesauce in the Microwave is Quick and Easy!